Jeroen Nap better known as “Big Dawg” was born on November 1st 1972 in Woerden, The Netherlands. At age 14 he already started writing and producing songs for artists and after a 7 month Producer/Engineer Workshop he was hired as the “house engineer/producer” at Malutha Sound Studio in Amsterdam where he helped developing the R&B Group DéAnte. Working with several artists there, he developed his vocal coaching skills and soon he got hired to record with many known artists such as Gio, Raffish, Eva, The Party Squad, One-J, BS_One, ADlicious, Men 2B, Ehsan, Jay Kay, Sharon Doorson, Rev ‘N Ros, Joshua Khane, Earl S, Ameerah, 2 Unlimited and many more. Also many of the finalists from TV Talent Shows like Idols, Pop Stars, X-Factor, Holland’s Got Talent and The Voice came knocking at his door to record their vocals under his guidance. Through social media Big Dawg came in touch with a lot of international artists, songwriters and producers that also wanted to work with him so he flew out to The States, Paris and London to work with artists like Ahmir, Chingy, Ternae Jordan, Cupid, Paul Wall, Kevin Bryant, Paul Anthony (Full Force), Dav Hall, HB Monte and soon he was asked to write and produce for many big names in the industry. 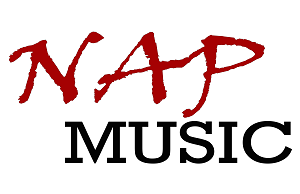 Late 2010, Big Dawg founded his Music Label NAP Music and started to develop his own artists amongst which the now 17 year old phenomenon “Casper” who he recently got signed to a UK management. Artists like 2 Unlimited, Vengaboys and 2 Bros on the 4th Floor love to work with him and have all their live show tapes done by Big Dawg. Also he was asked to do some official remixes for 2 Unlimited together with Steve Aoki and Joachim Garraud and together with HB Monte he did an offical remix for T_Pain Ft. Busta Rhymes & Ace Hood. Currently Big Dawg is writing for a lot of known dance producers like Nils Van Zandt, DJ Rebel, Matsoe Matsoe, Funk D, Jeroen Post, Timerman and also features on many releases with his own vocals under the alias “Jay Martin”. Not less than 3 international #1 hits came from his pen in 2015 and also he co-produced the theme song for Dutch TV Show “Dance Dance Dance” which will be exported internationally. With a lot of releases coming up, 2016 is looking bright ! !